I think after a whole day of deliberation, and besides, it was too hot to do anything productive today. Between the stagnant air, and my lackadaisical attitude today, nothing really got done except some online work I had to do. But, between the periods of laziness, I did manage to draw out a design for the quilting on Miss A’s quilt. 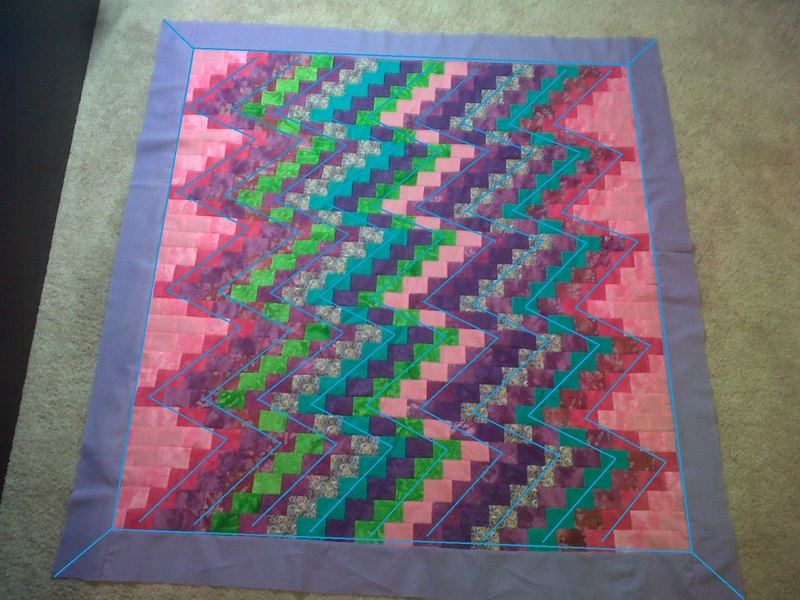 I really wanted to add to the bargello design, so I decided to do diagonals and then I’ll do something fun on the border. Not sure what that is yet, but we’ll see. ← On to my next project!